My favorite parts of media arts were minecraft and carving. 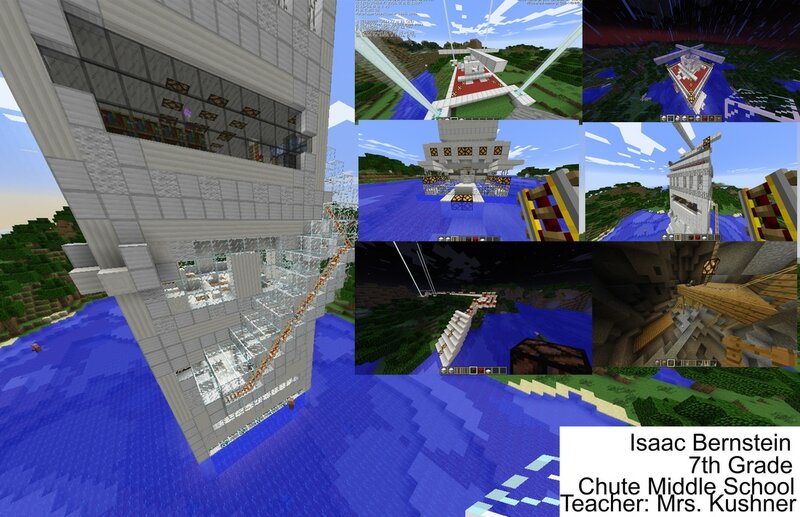 Minecraft allowed me to express myself creatively through building with others or alone. Carving was a cool experience as it let me play with shapes to make a design i enjoyed and i got to watch as it was made and how others reacted to it. Some skills i took away from this class is to never disvalue others even if you dont know how well they will perform, I created some of the coolest structures with other people. I would keep the class the same, trying to let people work on their own projects more than just assigned things, (with limits of course). Ive gotten to building the base, creating an underwater glass room, and finally an onning with an area to dock boats. ​I decided I want to do a sort of dystopian world in minecraft. Im thinking lots of steel and cold lighting to really get that sinister feel off. Not sure what exactly im looking for yet. I chose this adjective because all my life I have had a very large imagination. Ever since I was a little kid, I was always in my own fantasy world. Now, I can focus on whatever I need and using my imagination, be creative and a good problem solver. I love using my imagination in many ways. 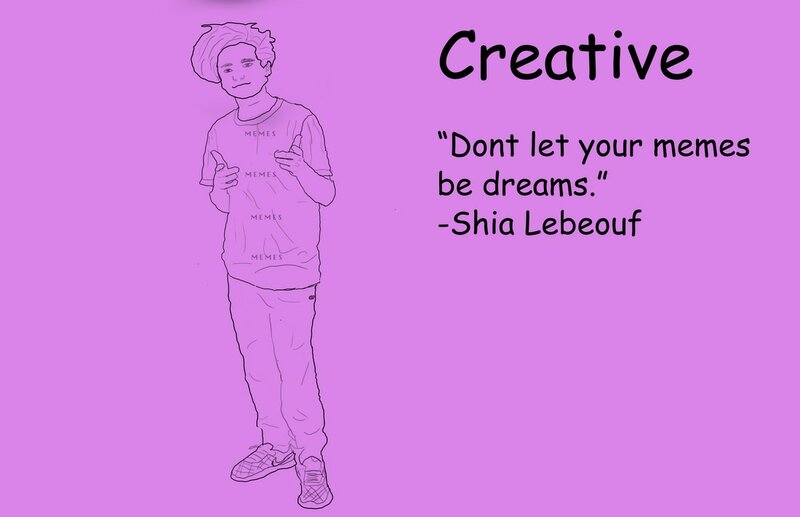 I chose this quote because memes are a big part of my life and good memes are quite rare these days. It requires lots of creativity and a bit of luck. After the decline of the rare meme market, it is a blessing to be able to be recognized for making good memes. The reason I chose this pose is that finger guns are the universal signal for, "what's good dude" and can be used to respond to anything. I chose to make my outlines darker and my details lighter using the pen. I used a rough shape for my puffy hair.